What is a NatureHood? 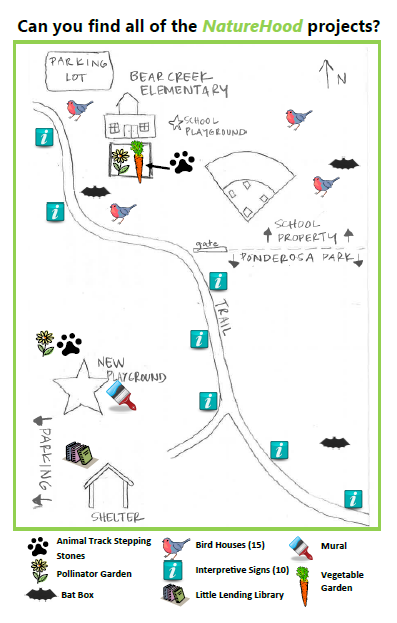 A NatureHood is a park or other natural area with special features schools and the community use to learn about and explore nature close to home. 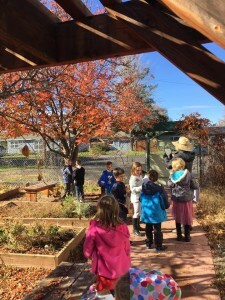 Designated by the Children’s Forest of Central Oregon, all NatureHoods are unique and dynamic, with community partners actively involved in contributing to what their NatureHood will become. 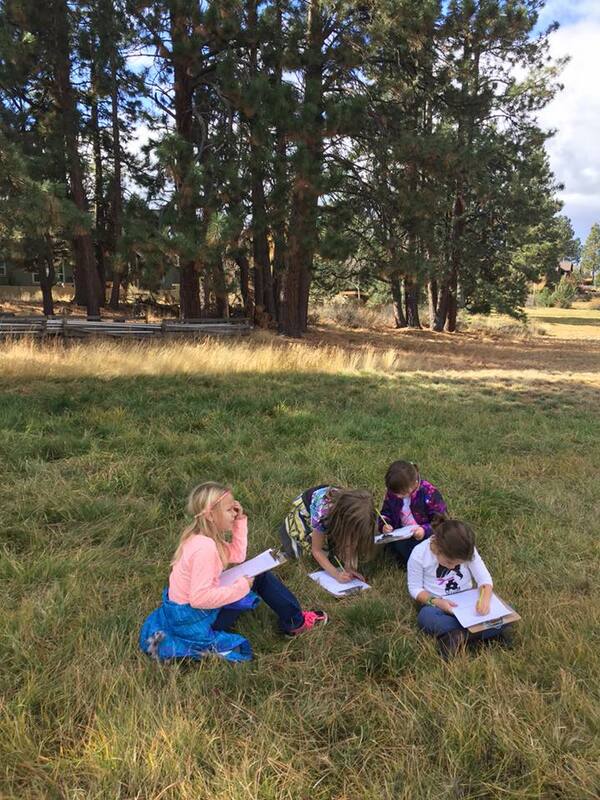 The concept was developed in partnership with Bend Park and Recreation District and intends to provide outdoor classroom spaces, without needing to get on a bus or drive in a car. The components of the NatureHoods program are two-fold. The first component of the program consists of educational lessons that take place in a nearby park and seek to expand upon learning done in the classroom. The second component of the program consists of student-created projects that go directly into the park or schoolyard they have designated as their NatureHood. For more information, please check out the program flyer. To schedule a program for your school, contact Kim Greene at kim@childrensforestco.org. Another component of the NatureHoods initiative is student-created projects in local parks or schoolyards. 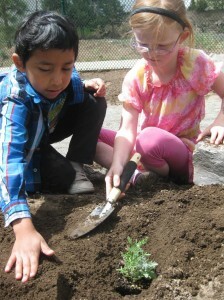 NatureHood projects are a way to connect students and families to the natural world on an ongoing basis. 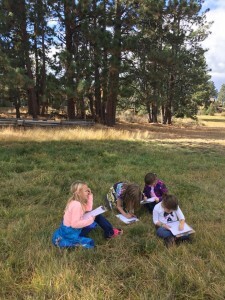 The Children’s Forest has project funding from Deschutes and Ochoco National Forests to be distributed to schools to help create these projects. NatureHood projects should improve habitat, promote stewardship, enhance visitor experiences in local parks, or improve access for students to have outdoor educational experiences. The NatureHoods Coordinator can provide assistance in planning and coordinating projects. To learn more and apply for funding for a project at your school or park, download the application here as Word Document or PDF. Contact Kim at kim@childrensforestco.org with questions. 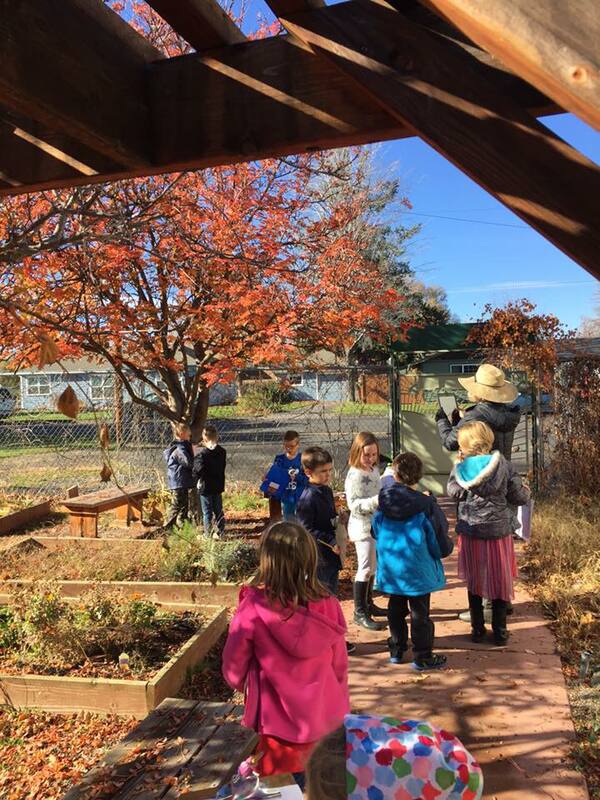 Ponderosa Elementary and neighboring Pine Nursery Park was the Children’s Forest of Central Oregon’s first designated NatureHood. 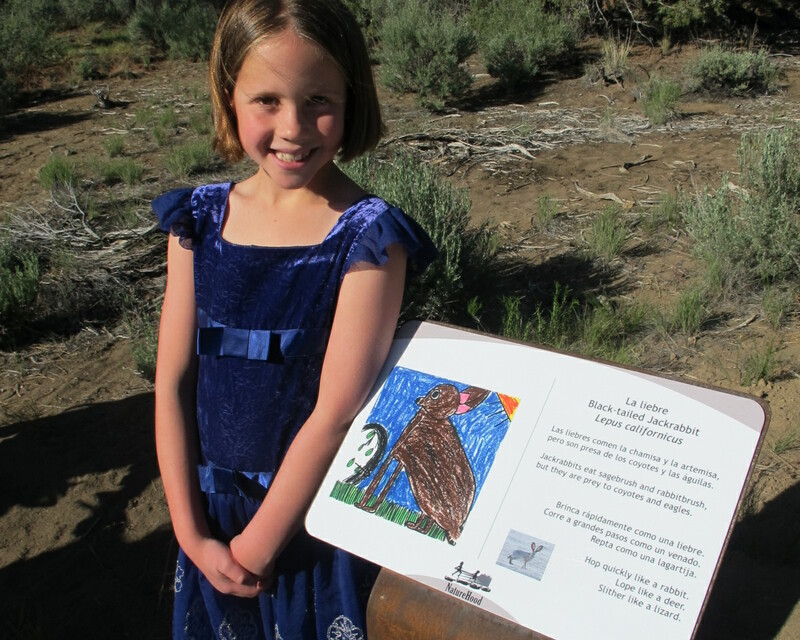 In 2013-2014, Ryan Shaffer’s 4th and 5th grade class began an exciting project to develop a field guide for Pine Nursery Park. 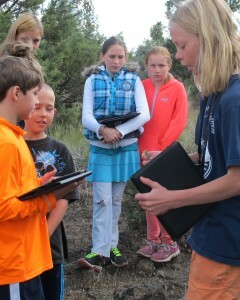 The students learned about different habitats in the park and developed an iBook and paper version of a field guide. As all 3rd-5th grade students have iPads at Ponderosa Elementary, the students are able to take field trips and learn about plants, wildlife, and geology of the park, using the iBook. Download the pdf, or to check out the iBook, search for “Pine Nursery Field Guide” in iTunes University. To see all projects and their locations, check out this map! The projects culminated in a celebration event on May 29th where families and students were invited to the park to view the projects and enjoy an evening of family fun. Hundreds came out for the event and students sang songs and introduced their projects to the community. 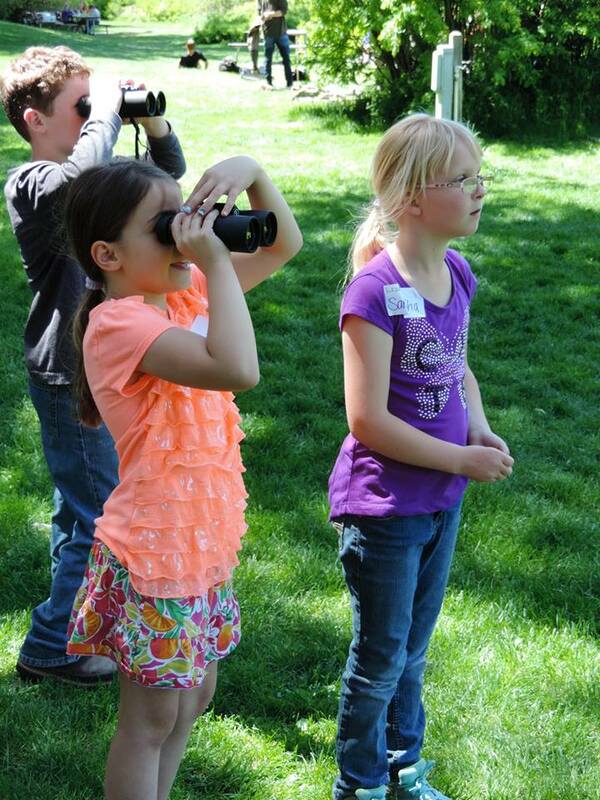 For more information on NatureHoods, please contact the NatureHoods Coordinator Kim Greene at kim@childrensforestco.org. If you’re an administrator and interested in training your teachers on leading effective outdoor lessons in your schoolyard or neighboring park, consider offering a Learning in Your NatureHood training.